Chili powder is in use since ages unknown. It is one of the essential components of food nowadays. Though I am not inclined to eat too spicy things, I still enjoy a little bit of it. It is used numerous recipes, and in USA, it is one of the most popular ingredient used in cooking. There are various kinds of chili powder with varying levels of hotness. The Carolina reaper holds the Guinness world record of hottest chili pepper in the world. The hotness of chili pepper is measured in Scoville Heat Units (SHU). One of the most popular chilies in USA is the various cultivars of New Mexico chili (Capsicum annuum). It has SHU as high as 70,000 depending on the cultivars. It is widely used in many American authentic cuisines. 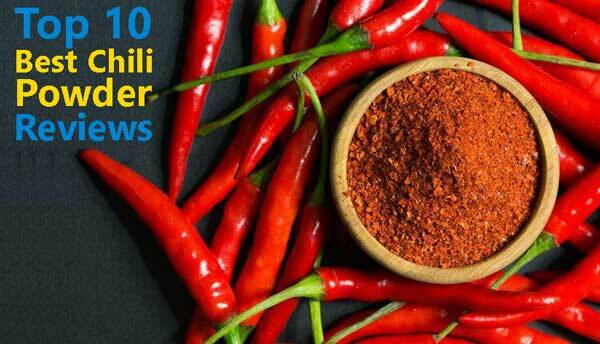 While there are many other varieties all over the world which are used in various culinary needs, apart from the taste, there are numerous health benefits of chili pepper powder. Irrespective of the types, all the forms of chili pepper belong to the genus Capsicum. It is believed that it was first cultivated in Mexico around 6000 years ago. It was spread worldwide by Dutch and Portuguese explorers, and it became one of the favorite ingredients. Buying the good chili powder can be challenging. Before purchasing any product, it is essential to know why chili powder is necessary and what are its benefits. Why using chili powder is necessary? As we know, chili powder adds extra spice to your food. If you are a fan of eating spicy food, you will certainly enjoy having a touch heat. But that’s where many of us stop. Apart from taste, there are many health benefits from chilies. Before we consider the uses of chili powder, let’s have a look at the nutritional facts of chili pepper. Apart from these nutritional components, it also has other Phyto-nutrients such as carotene, lutein, and cryptoxanthin. The significant component of chilies is an alkaloid known as Capsaicin. You can consume chili pepper in various forms. You can consume it raw (if you have a high threshold of spiciness), cooked, and dried. It is the capsaicin that gives these chili peppers a hot and pungent taste. If chili is very spicy, it means that it has a high amount of capsaicin. The nutritional chart above will shed some light on the health benefits of the chili pepper. It contains numerous compounds which enhance the health of individuals. For years people are in an opinion that chilis peppers must be avoided if you have any gastric conditions. People with certain situations such as peptic ulcers and diarrhea tend to avoid chilies. Recent research has proved it otherwise. Chilies help to heal these irritable diseases of the gut. It is because of the antioxidant properties of the capsaicin. It helps in improving the gut issues, prevents diarrhea, and also kills the infectious pathogens of the gut. No wonder it might sound intimidating for you but if you want to try chili pepper if you have digestive disorders, seek medical help first and eat in incremental amounts. The major components required for red blood cell formation are iron, copper, vitamin B6, B9, and B12. Except for B12, all the essential nutrients required for the production of red blood cells are present in chilies. Consuming chilies every day will help in fighting blood-related diseases such as anemia. It is beneficial for pregnant women. As pregnant women are at risk of developing folate deficiency, it is advised to consume a minimum amount of recommended dietary allowance (RDA) of chili peppers. Capsicum is found to be beneficial in reducing the risk of cardiovascular diseases. The primary action is by lowering the cholesterol in the serum. Moreover, chilies have zero cholesterol, and hence it is safe to consume them if you have any heart diseases. Another benefit is that it reduces the lipids thereby reduces the risk of myocardial infarction (MI). Excess fats in blood result in increased blood clot formation in the arteries and veins. Chili pepper will reduce the risk of excess blot clot formation in the regular circulatory system. According to the American Association for Cancer Research (AACR), chilies can kill various cancerous cells. It is beneficial in certain harmful conditions such as leukemia. Women can prevent the risk of breast cancer if they consume minimum RDA of chili pepper. 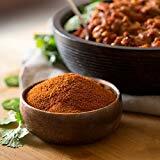 Note that it is not used to treat disease; your risk of exposure to cancer will be significantly reduced if you use chili in your daily diet. The alkaloid capsaicin can be used as a topical application (in the form of gel or ointment which are commercially produced) to relieve pain. It is thought that Substance P is the crucial player in transmitting the pain impulses to the brain. Capsaicin suppresses the activity of the substance P thereby reducing the pain. This phenomenon is widely used in the treatment of painful blisters caused during reactivation of chickenpox virus (Herpes zoster), a condition called Shingles. Chili pepper has all the ingredients required to boost your immunity. The primary vitamin to boost your immunity is Vitamin – C. It is present in sufficient amount in chilies; hence consuming them will boost your immunity. Other than vitamin c other nutrients that are required to maintain immunity are Vitamin A, E, D, folates, iron, zinc, and selenium. Except for vitamin D, all the immune boosting components are present in chilies. The alkaloid capsaicin present in capsicum has excellent antihistamine properties. It reduces seasonal allergies, nasal congestion, and other immune response related to allergic disorders. People with asthma and other lung disorders can find chili as a remedy as it reduces the congestion of bronchioles in the lung. Vitamin A is present in abundant amounts in chili peppers. It is a vital nutrient for the health of the eyes. Consuming chilies will prevent any eye related diseases and also minimizes the risk of developing sight related problems. It also delays the progressive degeneration of rods and cones (cells present in the eye responsible for vision) with age. Since chilies have abundant amounts of nutrients which are suitable for the circulatory system (blood and heart), there will be increased blood flow to the cells of the brain. This property is beneficial for patients with Alzheimer’s and dementia. It is useful in improving the cognitive skills in these patients. Consuming chilies will trigger the burning of calories in the stomach. The heat generated in the process of consuming chilies will burn excess calories thereby promoting weight loss. This process of heat generation (thermogenesis) will reduce the fat deposits in the adipose tissue and hence you will lose weight. Now that you know the benefits and nutritional value of the chili powder, let us know about some of the best products available out there in the market. The first product on our list comes from a reputable company, Kiva. This company is dedicated to delivering quality and tasty products to all its consumers all over the world. The Kiva gourmet smoked ghost chili pepper contains a specific species of chili known as Bhut jolokia. It is a native chili of North-east India, and it held the Guinness record of hottest chili till 2011. The ghost chili (Bhut jolokia) is a product of interspecies breeding. It is a result of hybridization between bonnet pepper (Capsicum chinense) and Capsicum frutescens. This particular chili has more than 1 million SHU. Make sure you use it tiny bits in your foods or else you will be bombarded with extreme heat. 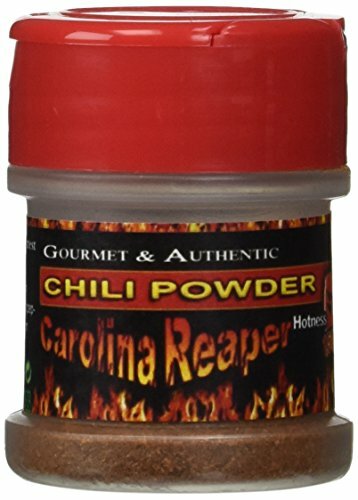 Made it with 100% pure ghost peppers this particular product is excellent for spicing up your veggies and meat dishes. To add an extra bit of heat, this powder is made by smoking and drying. This product is 100% non–GMO which means the plant sources used in the manufacturing of the chili pepper are not genetically modified which makes this product as the best chili powder available out there in the market. If you are looking for additional flavors in your chili pepper powder, then you must consider the 7 pepper spice mix. It is a Japanese product and is commonly called as Shichi-mi-togarashi. With so many nutritional ingredients in this powder, it makes the dishes tasty and spicy. It is excellent for almost all types of authentic dishes. This chili pepper is mostly used in making soups, noodles, and gyudon. Another best feature of this product is that it is affordable. With just under 20 USD, you will get the best value for money in terms of quantity and quality. You will enjoy the heat from the pepper along with fruit and nut flavors from the other ingredients. 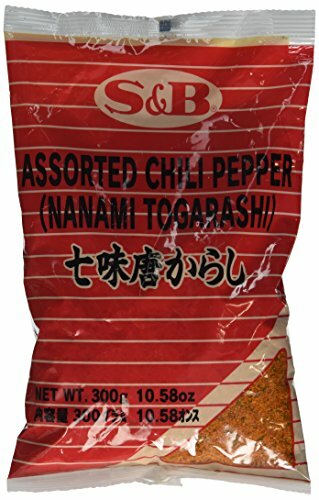 Another product which takes the core concept from Shichimi is the House shichimi togarashi Japanese mixed chili pepper. 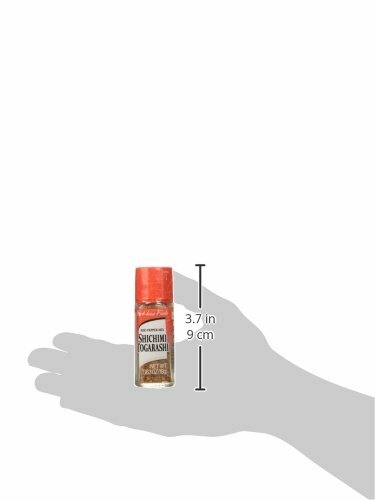 Similar to 7 pepper spice mix, this powder also contains all the essential ingredients that make it ideal shichimi. It consists of chili powder, citrus peel, ground ginger, seaweed, poppy seeds, sesame seeds, Japanese pepper, and hemp seeds. You can use this chili pepper in traditional Japanese and Chinese dishes such as noodles and other meat dishes. At an extremely affordable price (4.22 USD) it is one of the most affordable chili pepper powder on our list. Unlike other chili peppers, this does not give any fishy taste to the food. Some sellers who sell shichimi add a bit of salt (sodium) to the powder. This product does not add any salt, and hence people on a low sodium diet can add this powder to their daily dietary food. The quality of this product is also excellent. No additional flavors (monosodium glutamate – MSG) or preservatives are added to this product and is 100% genuine. It is entirely made in Japan, and hence you will find the label entirely in Japanese. For additional information, visit their official website. The ancho chili pepper is a trendy ingredient in Mexico and the south-west USA. It is made by drying the ripened poblano pepper (Capsicum annuum). Usually, it has mild heat (spiciness), but sometimes they can have high amounts of heat. The heat variation will depend on how red the chili is. A ripened chili will be red and has higher heat. Hence if completely ripened chili is used in the manufacturing of the Ancho, it will be extremely spicy. This product contains no preservatives, coloring agents, flavoring agents, and salt. It is widely used in many cuisines and also in gourmet home dishes. The ancho chili powder is 100% natural Kosher and is made from non-genetically modified (non-GMO) plants. You can use this as a daily ingredient of your favorite authentic dishes. Since the ancho chili has moderate heat (1000 to 2000 SHU), it is tolerable by non-spicy food lovers too. Just make sure to taste before adding it to your food as it can have unexpected heat. It is ideal for almost all types of foods such as tacos and noodles. The mild heat and sweet flavor of the powder will enhance the taste which you will love to eat. The Frontier Co-Op is the most popular brand in the production of organic products. It is one of the leading suppliers of natural products for over four decades. This company donates 4% of their profit to support local farmers and communities. Their products directly come from the farmers, and they have adopted a system known as Well Earth. This system will consistently support organic production and community growers. The Frontier Co-op organic chili blend consists of different natural ingredients which give a fresh flavor to any food you add. Previously they used silicon dioxide to prevent the clumps in the powder. The silicon dioxide is replaced with rice concentrate. Along with the rice concentrate, the other ingredients of this powder include chili powder, cumin, oregano, coriander, allspice, cloves, and garlic. All the ingredients are organic and are not grown using any pesticides. There is no added sodium, and it is ideal for people with a low sodium diet. If you are an organic food user, this will be a great addition to your kitchen. It will not be as spicy as the regular chili peppers, but you will get that punch if you add it to your dishes. Note that some recipes are not suitable for this chili pepper. It might ruin the taste if you add it as a regular ingredient. Just add it to give an extra bit of taste only. The usage of organic foods is increasing day by day. Simply Organic is a leading manufacturer of natural spices and seasoning products. This product contains organic chili powder, oregano, cumin, coriander powder, allspice, cloves, garlic, and silicon dioxide. It is certified as organic by Quality Assurance International (QAI) and Kosher Supervision of America (KSA). These certificates are enough to prove how genuine the product is and undoubtedly it is one of the best chili pepper powder available out there in the market. This is a product from the company Frontier and hence any product you purchase from Simply organic will contribute to support the local community farmers. The only difference between Frontier co-op organic chili powder and the Simply organic chili powder is the silicon dioxide. It is absent in the former one whereas present in the latter. Apart from that, all other features are similar and it is an excellent ingredient in your kitchen especially if you are an organic product lover. It gives an aromatic and fresh flavor to all the recipes you prep at your home. Just make sure not to overdose it as it may spoil the taste since it contains few ingredients that have a strong pungent flavor. Here comes the world’s hottest pepper, the Carolina Reaper. As you know that Carolina reaper has more than 1.5 million SHU, use it with extreme caution. If you are looking for super extra heat in your food, this product is for you. The product is made by drying raw Carolina peppers. They are not smoked so that the natural fresh taste is retained after grinding. You will also get a fruity flavor along with a mix of heat. Since there is no altering of the natural structure of the pepper, you will observe a wrinkled and pitted surface. As the source of the main ingredient, i.e., Carolina Reaper is from different geographic locations there can be a bit variation in taste and heat. But it will never be mild, and still, it holds that intense heat. As a minimal amount of this chili pepper is needed in the foods, you can stack it up for a year long. Ensure that you don’t overdose it in any of your recipes. Also, wear protective nitrile gloves while handling this product. It may cause an intense burning sensation if your skin gets in contact with the powder. As we know Frontier is one of the popular brands, which manufactures a wide variety of spices and seasoning foods. It has been in this industry since 1976 and has a large customer base. Another product from this company on our list is the Frontier chili powder. It is a non-organic blend of various ingredients which deliver the freshness and aromatic flavor to the food. Similar to the Frontier co-op organic chili pepper powder, this blend also contains the ingredients such as chili pepper powder, cumin powder, ground garlic, hemp seeds, oregano, allspice, cloves, coriander powder, and an anti-clump agent. There is an option to buyers to this chili powder with or without the additional spices. Make sure you read the label carefully before buying. There can be an alteration of ingredients (addition or removal), and it will affect the outcome of taste and heat. Nonetheless, it is an excellent product which has mild heat and can be used in everyday recipes. If you are inclined towards moderate spice along with fresh flavors, this is your ideal choice. There is no sodium added to this blend, and low-sodium diet patients can use this without any hesitation. The anti-clump agent can be silicon dioxide or rice concentrate. Contact customer support before buying if you specifically want either of these agents. France has a fantastic heritage in various cuisines. It is known for diversified culinary attracts many people from all over the world. 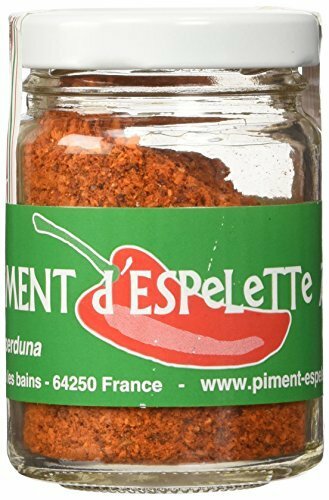 The Piment d’Espelette red chili powder is inspired by these French cuisines and is directly imported from France. Though the chilies are grown initially in Mexico, it found its way to France somewhere in the 16th century, and it gradually replaced the black pepper. It is predominantly used to store meat and ham. Certain cuisines such as Basque and Piperade use this chili powder as the core ingredient. It is so popular nowadays that it is exported to many countries throughout the globe. This product is certified by Appellation d’origine controlee (AOC). It is a French certification which is given to certain foods which originate in France. The products which have AOC certification are subjected to strict regulations from growing, harvesting, and packing. This chili pepper powder does not have high amounts of heat. It can be used in place of other regular spices such as black pepper or even paprika. Though it does not have the smoky aroma of other spices such as paprika you can use this in almost all recipes that require moderate heat. The final product on our list of chili peppers is a unique one originating from Thailand. Unlike all the products in our list which are in the form of a powder, this one includes ripened and dried chilies. To add spice to your food’s chilies can be used in any form, be it in the form a ground powder or the directly in the form chilies. It doesn’t make any difference, and the ultimate result is the same. You can add these chilies by breaking them into pieces, or you crush them with the help of a mortar and pestle. Grinding in mortar and pestle is a traditional way of crushing the chilies which preserve the natural taste and flavor. These chilies are not Bird’s Eye chili which is a popular variety in Thailand. It is a blend or mixture various chilies, and it does have the intensity (heat) similar to Bird’s Eye Chili. Make sure you don’t add too much of it as it may severely increase the heat in the food. Add moderate amounts, and it can be used in everyday meals. Note that these chilies are not super dried as some of you might expect. They are moderately dry, and for some, it may still appear as ripened fruit. With so many products available out there buying the good chili powder can be challenging. As there are plenty of chili species with varying degree of heat, it becomes more difficult to select the best product. Let us look into some points that must be considered before buying a chili pepper powder. We all know that we use chili powder to have a bit of spice in the food. There are many countries whose culinary includes super spicy foods. There are a wide variety of species all over the world, and they differ in hotness. Carolina Reaper holds the Guinness record of having the highest amount heat than any other chili pepper. It has nearly 1.5 million SHU which means it is extremely spicy. A pinch of this powder will produce high amounts of heat. Some chilies such as Jalapeno, a popular chili has 2500 to 15000 SHU. Though it is not as hot as Carolina Reaper, it is quite hot and can be hard to eat for non-spicy food lovers. There are plenty other chili peppers which differ vastly in their heat. It is always good to know the different types of chilies so that you can buy accordingly. Some manufacturers add extra ingredients to the chili powder to improve the taste and aroma. Although these ingredients are natural, some people prefer pure chili powder. Few manufacturers add salt (sodium) to improve the taste. It is vital for low-sodium diet people to avoid these products. Make sure to read the label carefully. It is advised to buy sodium free pepper. Certain chili powders such as Shichimi contains natural ingredients (except sodium) which increase the taste and freshness. You can buy Shichimi since from reputed companies as they do not add sodium in any form. You already know that there are different types and they have a varying degree of hotness. It is essential to know which pepper has moderate heat and which one is super spicy. The traditional or most common types of peppers used in Ameica are the New Mexican chili and its cultivars. These chilies have a moderate to high amount of heat and can be consumed daily. Another variety known as Ghost Pepper (Bhut jolokia) is one of the hottest chili peppers in the world with 1.5 million SHU. While there are many peppers which vary in their pungency and heat, knowing them will help you in buying the suitable one. Not only in terms of hotness, but these peppers also give subtle flavor, aroma, and a fruity punch to the foods. There are huge number of reputed companies which provide excellent quality of chili pepper. Some of them provide 100% natural chili pepper while some add other small ingredients to improve the taste. Irrespective of the additives, buying products from reputed companies is always good. Certain companies like Frontier Co-Op manufactures chili powder from the plants that are grown through organic methods. 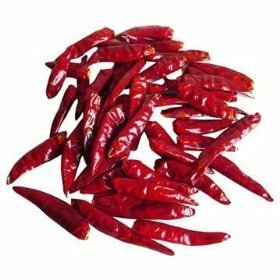 While some other companies such as Asia-Trendy supply pure chilies which are ripened and dried. They are not ground to fine powder and are available in their original form. You can use them according to your convenience. Most of these chili pepper powders are affordable. The price varies with the portion size. So, choose accordingly. Some companies provide these products in various portions which range from ounces to pounds. The price will be as low as $4 and can reach a maximum of $20. Certain chili peppers which are very hot like Carolina reaper is required in very minute amounts. Hence buy such hot peppers in small portions. What are the Top-Rated Best Chili Powder Brands? There are many companies which sell some of the best chili pepper powders. Some of them are known for their large fan base while some are in this business for more than four decades. This company is in the food and farming industry since 1976. It manufactures one of the most excellent chili pepper powder in the market. One of the best products from Frontier is the organic lineage of products. If you are reluctant towards the products which are produced from plants grown on pesticides, you can opt for products from Frontier. They also donate a portion of their profits to support local farmers and community growers. Kiva is another favorite brand which produces quality products. It is known for producing non-GMO verified products which attracted a considerable fan base. Kiva is popular in the production of other products especially manuka honey. They work directly with farmers to ensure high-quality production and prevent tampering. If you are a fan of ancho chili powder, you must try San Antonio. This brand manufactures various food spices such as seasonings, onion cocktails, and chili pepper powder. The chili pepper powder from San Antonio is made by a particular type of chili originating from Mexico. It is called Ancho or Poblano which has mild heat. You can buy San Antonio’s chili pepper if you want moderate amounts of heat in your food. Another excellent brand for organic food lovers is Simply Organic. It is a reputed company which produces organic chili pepper powder. Their product consists of a blend of other spices to increase freshness and aroma. All the products that are added in their chili pepper powder are organic. It is a subsidiary of the company Frontier. Simply organic also deals directly with the local farmer and supports them by donating a portion of their profits. Ancho Chili Powder - This chili powder is made with Mexican chili peppers called as Poblano. It has moderate heat (1000 to 1500 SHU), and it has a decent amount of smoky flavor. Because of the smoky and earthy flavor, it cannot be used as a substitute for your regular chili powder. You can use this on special occasions along with other chili pepper powders such as ancho chili pepper. 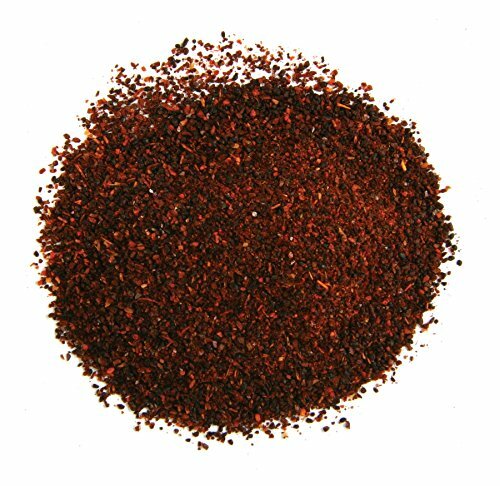 Aleppo Pepper Powder – It is a famous chili pepper powder in the Gulf and Mediterranean countries. It is made by deseeding. semi-drying, and coarsely grinding the pods of Capsicum annuum. It has moderate heat (more than ancho) of about 10000 SHU. It can become very spicy if added excessively. Piri Piri – Often known as peri peri or pili pili is a type of chili which is very hot. The chili powder is made from the pods of a different cultivar of Capsicum frutescens. It means that it is made with a mixture of several pods of varieties of Capsicum frutescens. This chili powder has neatly 175,000 SHU making it the hottest chili pepper available out there in the market. Cayenne Pepper – It is made from the pods of Capsicum annuum and is widely used in America for flavoring the dishes. It has SHU between 30000 to 50000. Adding more amounts of Cayenne pepper will result in extreme heat. Make sure you don’t add them to recipes which require marination as it makes the dish extremely hot. Korean Chili Pepper – Also known as Goghugaru is another moderately (or low) hot chili pepper powder made from the pods of a cultivar of Capsicum annuum known as Taeyangcho. It is made by grinding the sun-dried pods. This Korean chili pepper has 1500 SHU meaning which it has less spice to it. It has a deep and complex flavor that gives you a sweet and spicy blend of taste. Chipotle Powder – It is made by smoking and grinding ripened and red jalapenos. It has moderate heat ranging between 3000 to 8000 SHU. It popularly used in the USA for a variety of barbeques and marinades. There are few other popular varieties which use different blends of chili pepper with varying grades of heat. Some enthusiasts prefer to make their blend of chili pepper by combining different spices. Q. How do we how spicy is the chili powder? The Scoville Heat Unit determines the heat of the chili powder (SHU). Higher the units hotter the pepper. Q. How to store chili pepper powder? It does not require any individual storage units. Because of the pungency and heat, it will naturally keep away insects and pests. Just make sure you keep them in an airtight container to avoid the moisture contamination. Q. Are all the chili peppers useful for daily dishes? No. All the chili pepper powders are not suitable for daily dishes because of the variation in flavors and heat. Some chili powders have a smoky and earthy flavor which cannot be used for all recipes while some are incredibly spicy. Q. Is it good to use sodium infused chili powder? If you are on a low sodium diet, you must avoid chili peppers which have sodium in them. It is advised to avoid sodium chili powders even if you are not a sodium diet. Q. Is it okay to buy pure chili powder or a blend? It all depends on personal taste. If you want to add some extra flavor or aroma, you can opt for a chili powder blend. But if you want your food to have an extra bit of heat alone, use pure chili powder. Buying the best chili pepper will become an easy task if you have proper knowledge about the different types of chili powder and their hotness. This comprehensive guide might have helped you in selecting the ideal product for you. Make sure you read the label on the product and take note of all the ingredients present in it. Some elements such as sodium must be avoided, and hence you must check the list of additives present in them.